I’m not sure what’s going on with Toronto this summer, but we’re getting some amazing artists! It seems like they’re specifically targeting my demographic, especially with this latest news. 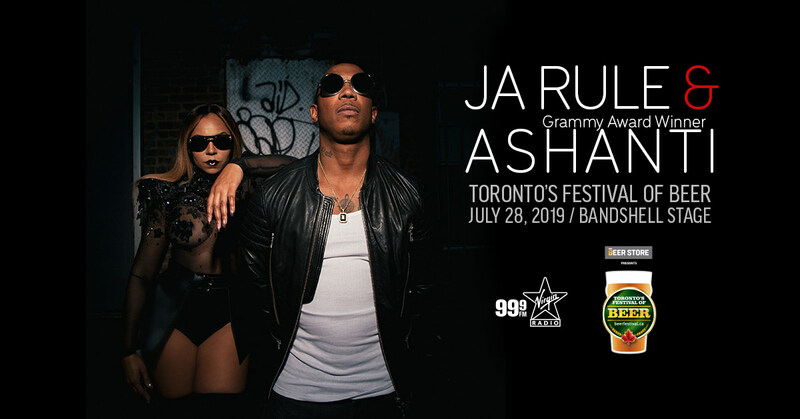 Ja Rule and the Grammy Award Winning Ashanti, will headline the final day of Toronto’s Festival of Beer, presented by The Beer Store. It goes down Sunday, July 28 at Bandshell Park, Exhibition Place. This show is in partnership with 99.9 Virgin Radio. This is the only Canadian stop for the duo. It’s definitely going to be an amazing performance paired with cool brews and delicious food. Don’t miss it!